Joining James Manning and James Daggar-Nickson on Mediaweek TV today is Wendy Moore, editor-in-chief of Home Beautiful and judge on Seven’s hit series House Rules. 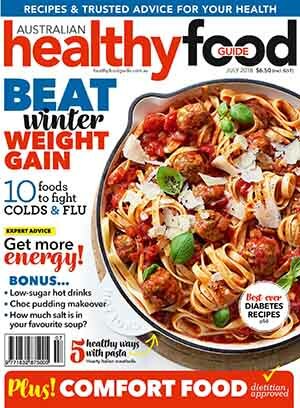 One of the more successful lifestyle brands in Australian media is Pacific’s Home Beautiful. 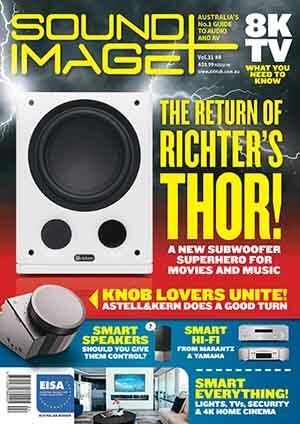 In simpler days it was just a monthly magazine. It still does that very well, but it also lives now on multiple platforms – as does editor-in-chief and TV judge Wendy Moore who joins us today to talk about the brand and it Cooks Co-Op initiative. 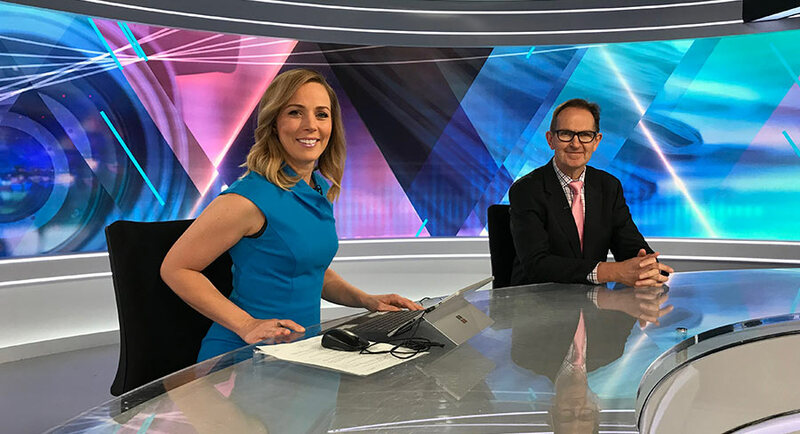 Tune in at 2.30pm today on Sky News Business (Foxtel 602). SBS has announced it will simulcast all the 2018 FIFA World Cup games until the end of the group stage on Friday June 29. 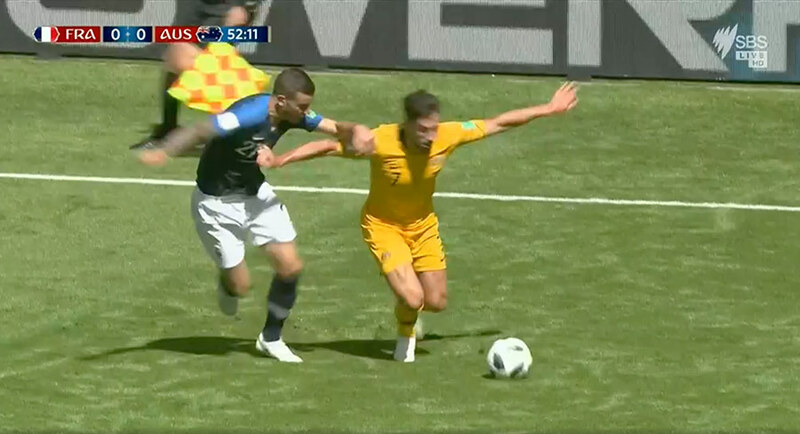 After recent problems with its World Cup streaming service, Optus gave SBS four additional games to show on FTA TV as it worked on repairing its service. Following the hiccup, Optus CEO Allen Lew apologised to all of its customers impacted by the interruptions. In a bid to get back on the Australian fans’ good books, Optus has opened its streaming service, Optus Sport, to everyone for free until August 31. See the new live match broadcast schedule here. 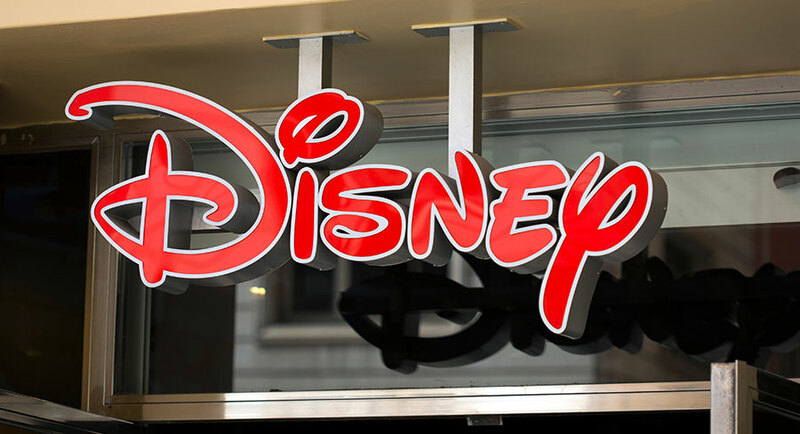 The Walt Disney Company has announced that it has signed an amended acquisition agreement with Twenty-First Century Fox for US$38 per share in cash and stock. Disney will acquire 21st Century Fox immediately following the spinoff of the businesses comprising “New Fox” as previously announced. Under the amended agreement, 21st Century Fox shareholders may elect to receive, for each share of 21st Century Fox common stock, $38 in either cash or shares of Disney common stock (subject to adjustment for certain tax liabilities as described in the original acquisition announcement). The overall mix of consideration paid to 21st Century Fox shareholders will be approximately 50% cash and 50% stock. The stock consideration is subject to a collar (described below under “Transaction Details”) and is expected to be tax-free to 21st Century Fox shareholders. The 21st Century Fox businesses to be acquired by Disney remain the same as under the original agreement. Since the original agreement was announced, the intrinsic value of these assets has increased, notably due to tax reform and operating improvements. Twenty-First Century Fox has entered into an amended and restated merger agreement with The Walt Disney Company pursuant to which Disney has agreed to acquire for a price of US$38 per 21CF share the same businesses Disney agreed to acquire under the previously announced merger agreement between 21CF and Disney. This price represents a significant increase over the purchase price of approximately $28 per share included in the Disney Merger Agreement when it was announced in December 2017. The amended and restated Disney Merger Agreement offers a package of consideration, flexibility and deal certainty enhancements that is superior to the proposal made by the Comcast Corporation on June 13, 2018. Under the amended and restated Disney Merger Agreement, Disney would acquire those businesses on substantially the same terms, except that, among other things, Disney’s offer allows 21CF stockholders to elect to receive their consideration, on a value equalised basis, in the form of cash or stock, subject to 50/50 proration. The 21CF board, after consultation with its outside legal counsel and financial advisors, has not concluded that the unsolicited proposal it received on June 13, 2018 from Comcast could reasonably be expected to result in a “Company Superior Proposal” under the Disney Merger Agreement. As announced on May 30, 2018, 21CF has established a record date of May 29, 2018 and a meeting date of July 10, 2018 for a special meeting of its stockholders to, among other things, consider and vote on a proposal to adopt the Disney Merger Agreement. 21CF has determined to postpone its special meeting of stockholders to a future date in order to provide stockholders the opportunity to evaluate the terms of Disney’s revised proposal and other developments to date. Once 21CF determines the new date for 21CF’s special meeting of stockholders, the date will be communicated to 21CF stockholders. Home and Away had a second successive audience of 695,000 after 723,000 on Monday. House Rules continued on the farm with 806,000 after a midweek audience of 732,000 last week. 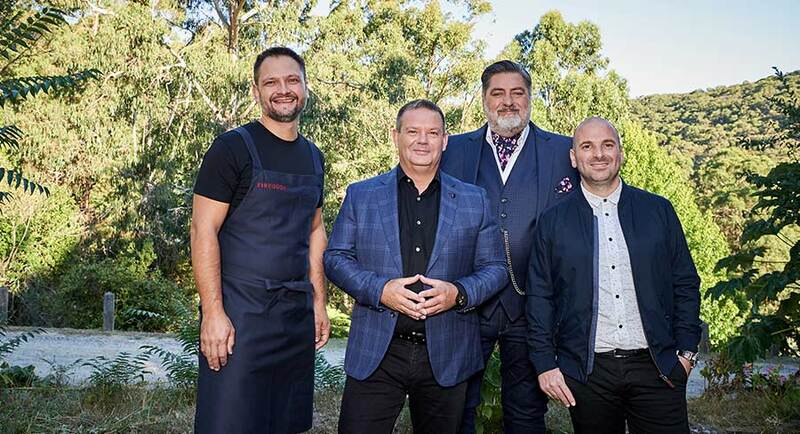 Although it narrowly trailed MasterChef in metro overnights, the regional audience allows Seven to market the program as Australia’s #1 entertainment show. Two episodes of Modern Family then did 327,000 and 207,000 followed by the second week of Splitting Up Together on 120,000. The Front Bar screened after House Rules in AFL markets with 276,000 – and 191,000 in Melbourne. It wasn’t quite MasterChef, but A Current Affair reporter Reid Butler was cooking in a kitchen last night, giving viewers a guide to the best pots and pans to buy. The program launched though with some shocking advice bankers have been giving customers. The midweek episode did 792,000 – close to Tuesday’s 796,000. Two episodes of Young Sheldon followed with audiences of 596,000 and 582,000. Britain’s Got Talent then did 244,000 in Sydney and Brisbane followed by an encore screening of Talkin’ ’Bout Your Generation on 68,000, also only in those two markets. The AFL Footy Show had a five market audience of 209,000 with 134,000 in Melbourne. Quite liking Hamish Macdonald’s week filling in for Waleed Aly on The Project. Last night he conducted an hilarious discussion with Steve Price about plastic bags in supermarkets. It is almost as if the series has a new EP this week with some very different story mixes. Last night the show ended with a lengthy Hamish Macdonald piece on facial recognition technology. The episode did 511,000, which was down on both Monday and Tuesday. MasterChef was in the Dandenong Ranges outside Melbourne cooking for firemen. The team challenge meant the competitors could only cook with fire in outdoor ovens. The program ranked #1 in all people and demos with an all people audience of 810,000 after 860,000 last week. The US drama triple play followed: Instinct on 490,000, Madam Secretary on 207,000 and Hawaii Five-O on 129,000. Catherine McGregor was the guest on Julia Zemiro’s Home Delivery with 576,000. Gruen featured a newcomer to the panel – Nitsa Lotus from TBWA. The show had plenty of pointed comments about Optus and featured a pitch for New Zealand trying to land the 2030 FIFA World Cup. The episode was on 758,000 after 746,000 last week. 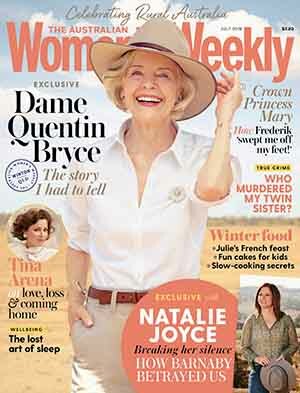 The Weekly then featured Guy Pearce with 659,000 watching after 643,000 last week. Corey White’s Roadmap To Paradise then did 289,000. The second season of Tonightly launched on Monday this week on ABC Comedy. (Or the last season of Tonightly as host Tom Ballard joked on Monday.) The midweek episode that also screens on the primary channel did 130,000. 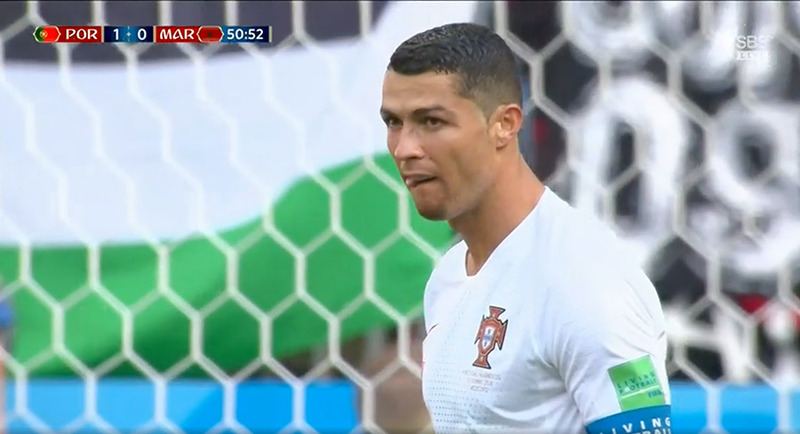 The channel’s biggest audience was for its 10pm FIFA World Cup match between Portugal and Morocco with 549,000 watching. The Russia v Egypt game at 4am Wednesday did 148,000. The audience watching the second half of Poland v Senegal after 2am Wednesday was 79,000. Rupert Murdoch is set to cash in on an intensifying bidding war for 21st Century Fox’s entertainment assets after Walt Disney significantly upped its original offer to $US71.3 billion ($96.6 billion), reports The AFR’s John Kehoe. 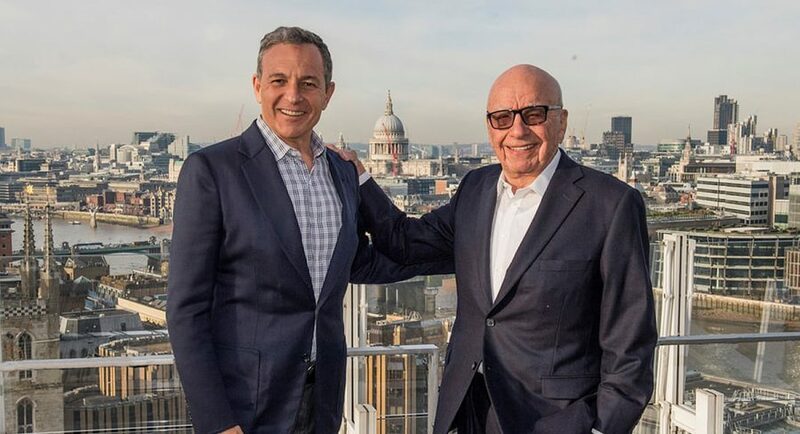 Disney’s second-round bid for the Murdoch family-led Fox is almost $US20 billion higher than its December proposal and trumps rival Comcast’s $US65 billion counter bid last week. Murdoch, executive chairman of Fox, confirmed Fox’s preferred takeover partner was Disney. Fox said in a statement the proposal was “superior” to Comcast’s bid due to the “consideration, flexibility and deal certainty”. Disney’s new offer of $38 per share is half cash and half stock. In a statement Wednesday, Disney said it is raising its offer because Fox’s value increased due to “tax reform and operating improvements”. It did not mention Comcast’s bid. “After six months of integration planning, we’re even more enthusiastic and confident in the strategic fit of the assets and the talent at Fox,” said Disney CEO Bob Iger in a statement. Endemol Shine Group, the Netherlands-based TV producer of shows including Black Mirror and MasterChef, has hired Deutsche Bank and Liontree to seek a sale, according to people familiar with the matter, reports CNBC. Endemol is co-owned by 21st Century Fox and Apollo Global Management, each of which owns 50% of the company. Finding a buyer for the entire entity could simplify ownership and marry Endemol’s content portfolio, which also includes Big Brother and Anthony Bourdain Parts Unknown, with a larger library. Both Fox and Apollo have agreed to sell their takes if a buyer is found. Fox has already passed up the right to buy all of Endemol, and in fact agreed to sell its 50% stake to Disney in December as part of its $52 billion (at the time) sale. Fox is supportive of the business but chose not to acquire it given its deal with Disney, one of the people said. Elisabeth Murdoch, daughter of media mogul Rupert Murdoch, founded Shine and sold it to News Corp in 2011. 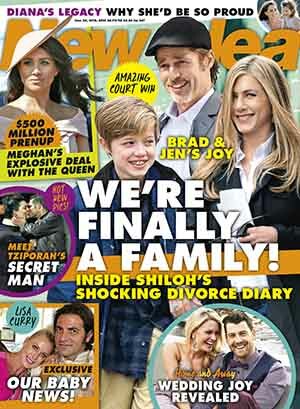 In 2014, Endemol agreed to merge with Shine Group and Core Media Group with Apollo taking half of the combined company. Endemol Shine Australia is run by joint CEOs, brothers Carl and Mark Fennessy. They launched Shine Australia in 2010 for Elisabeth Murdoch as part of what became a global network. Both Fennessys have held global roles with Carl previously CEO of Shine America and Mark was president of Shine Network. Kerry Stokes on the ABC: How come they don’t have more viewers? Kerry Stokes has little sympathy for the put-upon ABC, saying the public broadcaster would have a “soft bite” if it were a punching bag, reports The Australian’s Matthew Westwood. 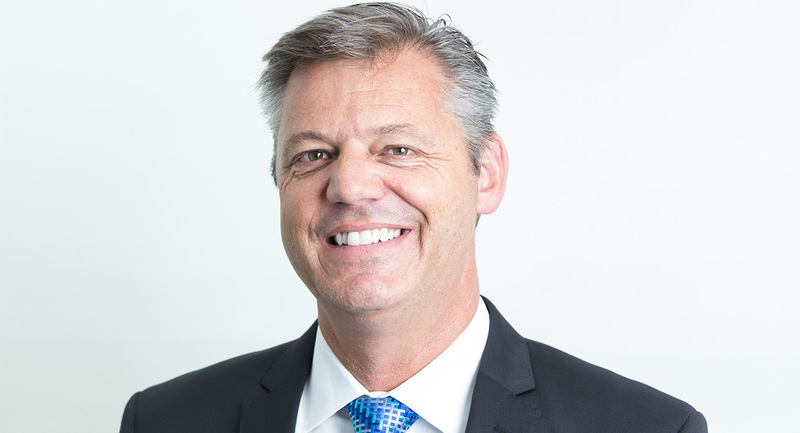 The Seven West Media chairman says the ABC should step up and be more competitive, in the same spirit as commercial media operations. Stokes said he was taken aback by Guthrie’s remarks. If anything good comes out of the Liberal Party’s haphazard weekend brain fade over privatising the Australian Broadcasting Corporation it will be a genuine debate about the media giant’s proper role. But don’t hold your breath. 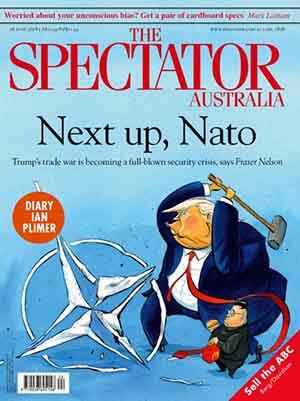 In Australian politics, a good scare campaign is always far preferable to a sensible discussion and that’s probably all we’ll get. Those at the ABC seem to have little comprehension of their peculiar place in the news and entertainment market. They are a government-funded disrupter in what is a free enterprise construct. And they can’t accept that public broadcasting only had a rationale when the ABC was formed, specifically because many people didn’t have access to news and information services, but everyone is drowning in them in the digital age. The reason the ABC is facing this crisis in confidence from anyone not on the Left of Australian politics is its own reckless behaviour. Since the election of the Abbott government, it has wilfully rejected widespread objections to its clear and persistent political bias. There are two logical options to privatisation: fiscal strangulation or dismemberment, leaving behind only the bits relevant in the digital age that others do not or cannot provide. Personally, I favour a combination of the two. Two of 21st Century Fox’s top television producers spoke out against Fox News’s commentary on the Trump administration policy of separating children from their parents at the border, saying they were embarrassed to work at the company that owns the cable news channel, reports The Wall Street Journal. Steve Levitan, the creator of Modern Family, and Seth MacFarlane, creator of Family Guy, criticised Fox News commentators over support for the policy. Fox anchor Laura Ingraham compared detention centres where children are housed to “summer camp”. “I’m disgusted to work at a company that has anything whatsoever to do with Fox News,” Levitan tweeted yesterday. The Victorian Andrews government has dumped a major billboard company from taking part in a high-profile campaign posing questions including “Why can’t Aboriginal people just get over the past?” after the advertiser raised concerns the billboards could be discriminatory, reports The Australian’s Samantha Hutchinson. 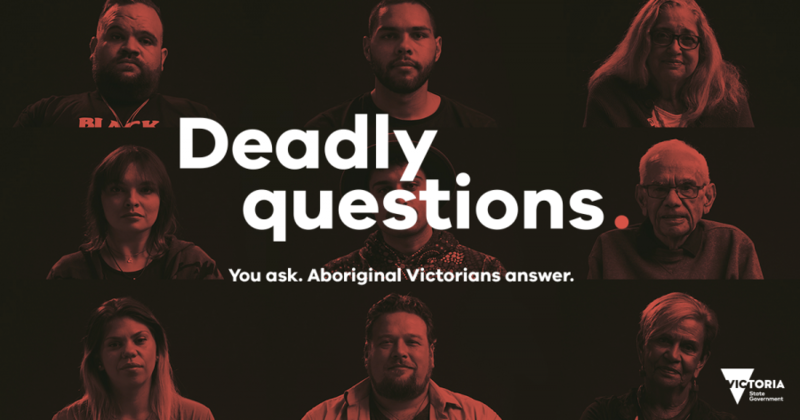 Less than two weeks into the government’s Deadly Questions campaign to raise awareness of the Victorian treaty process, the government confirmed it had signed a new billboard company to post deliberately provocative questions designed to stoke debate. The decision came after billboard giant APN Outdoor Media ruled out running two out of seven of the deliberately provocative billboards, citing advice it received that the messages could breach an industry code of conduct. 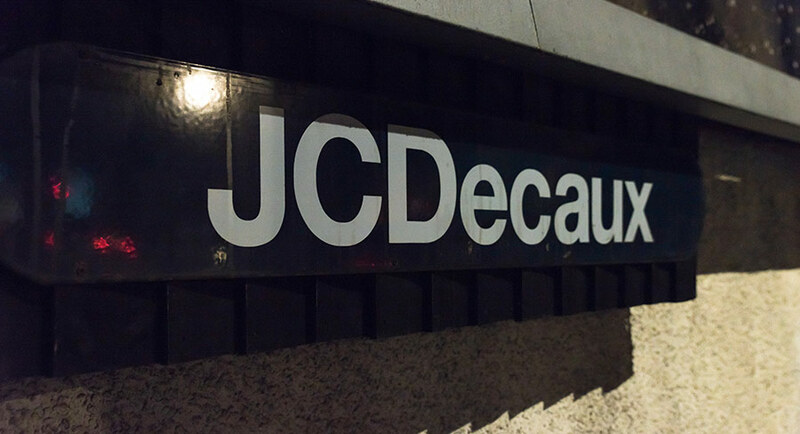 According to APN, the company received advice from the Outdoor Media Association, which found two billboards could breach the industry code. While sources within the company were privately fuming over losing the $1.3 million campaign, APN Outdoor chief executive James Warburton said the company had simply followed standard practice by submitting the billboards for review. 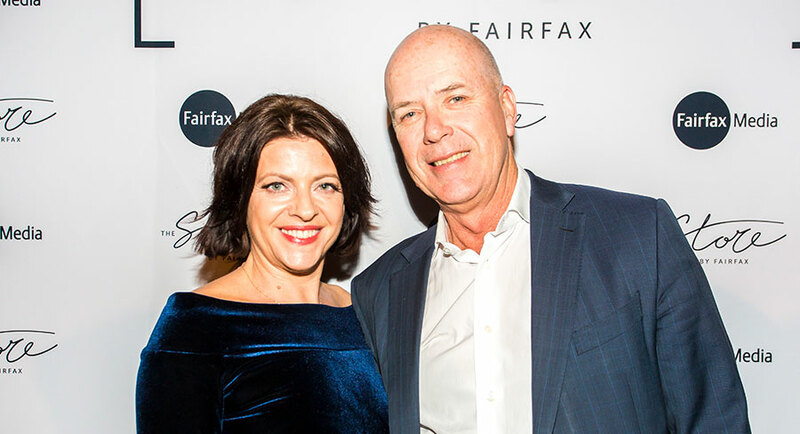 Fairfax Media’s lifestyle editor across print and digital Monique Farmer has announced the appointment of Trudi Jenkins as publishing director, Travel and Food, responsible for the Traveller, Good Food and The Good Food Guide brands. Jenkins has much experience working across travel and food publishing across platforms. She was editor-in-chief of delicious magazine for 11 years, during which time she also edited Vogue Entertaining + Travel, and then MasterChef magazine. Jenkins launched delicious’s successful reader events, developed the Produce Awards, edited several cookbooks and dealt with licence partners including the ABC, Condé Nast and Shine Australia. Prior to that, Jenkins was arts editor of The Sun-Herald and had two years editing Sunday Life. She co-founded hardtofind.com.au in 2008 and was executive director for seven years until selling her shares in 2015. Jenkins then consulted to Red Balloon before rejoining Fairfax Media and launching The Store (thestore.com.au). In the past year, Jenkins has also been running Traveller Tours with Anthony Dennis and his team, and has initiated sales of The Good Food Guide and Good Food gift cards on The Store. In her new role Jenkins’s direct reports will be the print and digital editors of Traveller and Good Food. A new paranormal comedy series will be filmed in Brisbane featuring Sheppard singer George Sheppard, reports The Courier-Mail’s Amy Price. A pilot episode of Cursed, from Brisbane production company Continuance Pictures, has got the green light from Screen Queensland, with filming to begin in Brisbane next week. It is understood producer Tristan Barr, of Watch the Sunset, will then pitch the series of six 20-minute episodes to distributors, including streaming companies Netflix, Stan and Amazon. The series is already fielding interest from Australian networks, including the ABC and Comedy Central. Created by Head Above Water’s Connor Fairclough, Cursed is pitched as a horror comedy that, inspired by Shaun of the Dead, will parody the clichés of the horror genre, drawing influence from films such as The Conjuring and The Evil Dead. Nine host Karl Stefanovic has come out firing on behalf of his network’s Logies broadcast, lashing out at local TV personalities who are snubbing the awards, reports Fairfax Media’s Robert Moran. 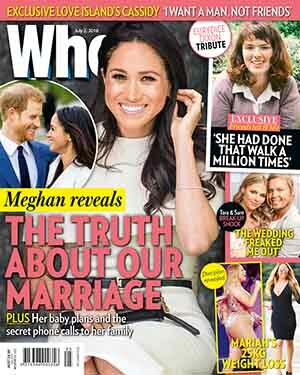 Playing the heel on Wednesday morning’s Today, Stefanovic took aim at actor Hugo Weaving and Today’s breakfast competitors on Seven, Sunrise. “He’s a disgrace,” Stefanovic said of Weaving. In an interview this week, the actor labelled the Logies “a promotional tool for the TV channels themselves” and said he wouldn’t be attending, despite being nominated for Most Outstanding Actor for his performance in the ABC’s Seven Types of Ambiguity. “The Logies are recognition for the hard work of those who work in a great industry, an industry that entertains all Australians… It survives and thrives on people like you promoting it. People’s jobs depend on it,” Stefanovic told Weaving, assuming he was at home watching. We’re on the deck of Winter’s newly renovated Gold Coast home, overlooking the Coomera River. As befitting a real estate obsessive, it’s a magazine-ready masterpiece. The bathroom tap – a black stalk suspended from the ceiling – resembles a sculpture, while the toilets are governed by electronic touch pads. Its best feature, though, is its waterfront location. To be clear, commercial networks aren’t too worried about who claims the gold statue. They’re more perturbed by what Winter’s nomination represents: their declining influence. After all, it’s the Australian public who put him in the race – ahead of many (higher-profile) broadcast stars. 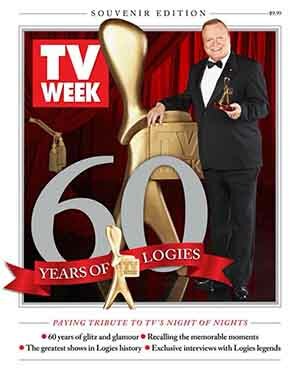 The Logies are not a weighted survey of our viewing habits; they reflect the preferences of TV Week readers and anyone motivated enough to vote online. These voters are old-school fans, unabashed in their enthusiasm for their favourite shows. In 2005, Winter and his wife Caroline emigrated to Australia with their three children, seeking respite from England’s relentless “cold and grey”. Still hosting the original UK version of Selling Houses, he returned to Europe 15 times in two-and-a-half years. When that series was cancelled, he figured his TV career was over. 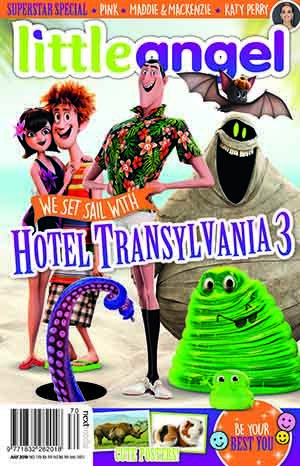 Two weeks later, Foxtel commissioned an Australian adaptation. It was an instant hit. Peter Thomson has died. Eighty-eight is a great innings, to reference another sport he loved. Bradman, he once said, “was a god when I was growing up”, reports Michael Clayton in a piece for Golf Australia also published by Fairfax Media. To Australian golfers of his time, Thomson was a god, although it wouldn’t be right to describe him as the Father of Australian Golf. He would have conceded that title to Norman Von Nida, the little Queenslander who mentored the young Victorian, to the extent even of sharing their prize money on Thomson’s first trip to Britain. Thomson’s other great contribution to the game was his writing. For years, he penned his must-read and fearless columns for The Age. After the 1977 Australian Open on the newly redesigned Jack Nicklaus course at the Australian in Sydney, the headline on his column said it all: “Packer money wasted”. He likened the new ponds as being as American “as fins on Cadillacs”. It didn’t endear him to the media mogul who had financed the alterations, but he was absolutely right. Golf legend and media colleague Peter Thomson’s death follows immediately after popular Olympic swim coach Ken Wood and bookmaker Eric Tymms, all prominent and valued names in my old contact book for very good reasons – a most melancholy week.